Can you believe it’s been a year of MX vs ATV All Out? Well, it certainly has, and THQ Nordic and Rainbow Studios are planning to celebrate! MX vs ATV All Out Anniversary Edition is being framed as the definitive version, being chock-full of extra DLC content that was released throughout the game’s first year. It will launch on March 12, 2019 and cost $29.99/€29.99. Ricky Carmichael Farm – GOAT: Two Supercross, one Nationals, one Waypoint, and 2 Opencross tracks PLUS multiple trails in Freeride! Slash’s Snake Pit: Three of the largest Supercross tracks in MX vs ATV history PLUS and FMX area! Hometown MX Nationals: The most authentic outdoors tracks! Four, huge Nationals tracks and 2 Freeride environments to explore with different time of day variations. MX vs ATV All Out released back in March 2018. It’s the latest entry in the long-running MX vs ATV series, which, true to its name, focuses on off-road racing. With a heavy focus on motocross and all-terrain vehicles (surprise), it has a wide niche that most other games don’t fill. The Anniversary Edition is certainly chock-full of content, and is perfect for anyone who hasn’t yet gotten a chance to try out this series. With fourteen new tracks in addition to everything featured in the base game, hopefully it will tide players over until the next MX vs ATV game. 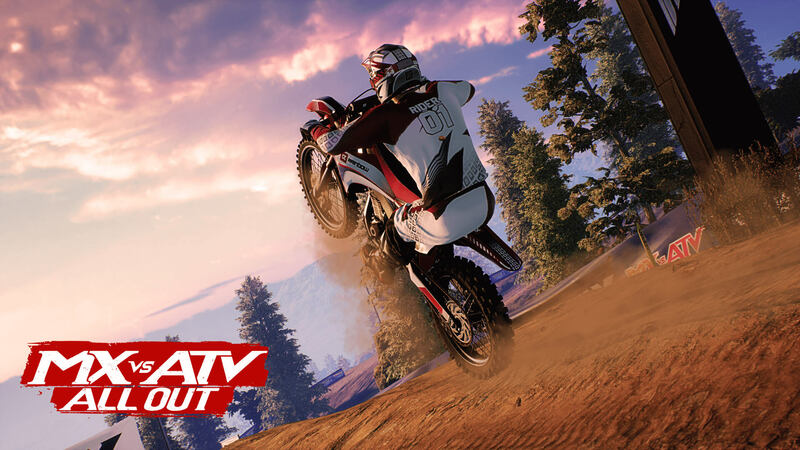 MX vs ATV All Out Anniversary Edition releases on March 12, 2019 for the PlayStation 4, Xbox One, and PC.